Most people’s understanding of Russia is stuck in the 1980s: the Cold War, fall of Communism, the bad guy from Rocky… But all of a sudden, Americans who have not been paying much attention to the great Red Bear must now grapple with what the 2016 election interference means: namely, what is Putin trying to accomplish, and how seriously should we take all this? 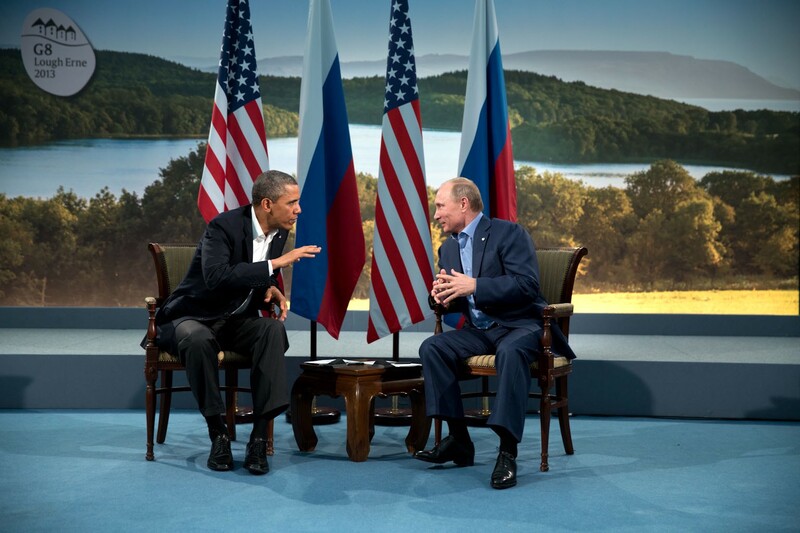 This blog is an attempt to answer those questions and explain current U.S.-Russia relations for those who might be overwhelmed by its complexities. Let’s start with what’s been happening in Russia over the past three decades and from there try to understand what’s been going on with the Russia- election situation, Trump’s team, and foreign policy. After the Soviet Union collapsed, Russia transitioned to a distorted version of democracy and fell into economic depression. The 1990s were a difficult time for Russians, who not only lost their trust in government, but suffered economic hardship and lacked a sense of national identity as the country tried to shift from communism to a free marketplace and democracy. Boris Yeltsin, who was in charge during most of this time, was also wary of state agencies like the KGB and divided it into seven smaller ministries, frustrating powerful state officials. All of this primed the pump for a strong man to step into the void. By the early 2000s, both political elites and citizens were tired of how things were going. Enter Putin, a lawyer and former KGB officer, who promised to return pride and stability to Russians through strong leadership. Putin slowly eroded democratic barriers, oppressed independent media and political competitors, and installed key allies in top positions. Putin also invaded Ukraine, started a war in the Northern Caucuses, and maybe even bombed his own citizens, blaming the attacks on terrorists in order to gain public support for expanding Russian influence in the world. He has also overseen a simple but effective stream of misinformation to his supporters that counteracts any accusations made against him from civil society organizations, Western governments, or opposition politicians. In essence, Putin’s promise was to make Russia strong again, which begins with the government as the center of power. He has largely succeeded in this consolidation. This prompts the question: Just how strong is the Russian government? The Russian military is quite capable, and obviously they have a massive nuclear arsenal, but not all areas of government performance are particularly solid. 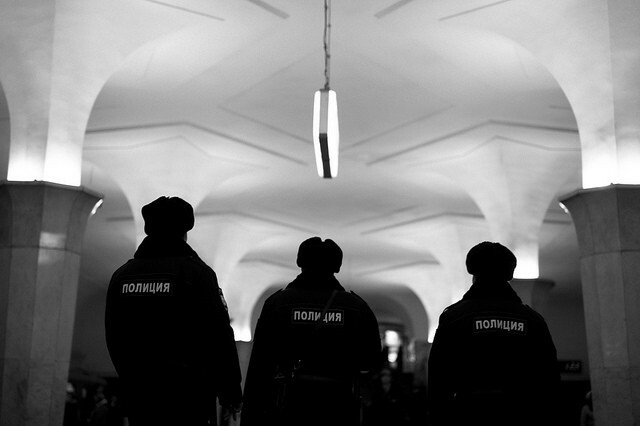 Elite state agencies such as the FSB are powerful and effective at gathering intelligence and carrying out covert missions; however, routine policing and crime investigation are generally ineffective. Somewhat surprisingly, Russia has had one of the world highest murder rates and deaths by terrorism per capita over the past three decades. Another thing to understand about the Russian state is that corruption is a way of life. Analysts have actually created a table showing how much it costs to receive a positive court verdict, make charges disappear, obtain official state documents, or have a person detained or released from prison. In some areas of the country, local police are so distrusted that most people would rather not contact them after a crime occurs. So why did Russia interfere in the U.S. election, and how did they do it? What we know is that, in addition to hacking the Clinton campaign and DNC emails, Russian operatives spread massive amounts of misinformation in a targeted and systematic fashion to play off our partisanship inclinations. This sophisticated campaign used data from Facebook users to create fake news stories and profiles targeting swing supporters in battle ground states including Pennsylvania, Michigan, and Wisconsin. Their objectives, as publicly confirmed by every U.S. intelligence agency, were to sow discord and aid in the election of Donald Trump, both of which were successful. Since the early 2000s, Russians have been carrying out similar operations in more fragile democracies across Eastern Europe, but clearly this is also effective in places like the U.S. and France. So what should we being do about all this? The most important thing to watch is probably the Senate Investigation, as the FBI investigation will be slower and less public and the House Investigation is, so far at least, a circus. We know that several people close to Trump were in covert contact with Russian officials and probably knew this was going on. The million-dollar question is if there is evidence that Trump knew and approved of the Russian interference. That will be hard to prove, but it is possible that one of the accused Russian conspirators (Flynn, Manaford, Page) could come forwards with such information. The whole issue will probably take one to two years to play out, so as citizens it’s important to be patient yet vigilant. When Obama came into office, he attempted, like other presidents before him, to initiate a Russian reset. This represents a goodwill effort to look past our historical differences. Trump always questions, “Is a friendship with Russia so bad?” No of course not . . . as long as Russia is not behaving badly. After the 2014 Ukraine invasion and Putin’s backing of the Assad regime in Syria, Obama essentially gave up on hope of having a cooperative relationship with Putin-led Russia, and interference in the sovereignty of our elections should rank as one of the more serious attacks on American sovereignty in recent history. Putin’s vision of the world involves a Darwinistic vision of countries, where only the strong survive and control the weak through military might. Where nationalism and ethnic heritage are the most important pieces of personal identity. There’s still a lot of drama in this saga to be played out, but Russia’s blatant attacks on our political institutions are something that democracy-loving Americans cannot ignore.